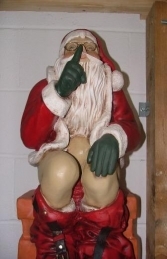 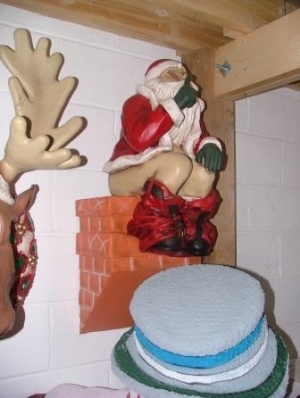 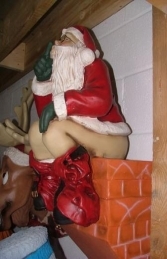 This humourous, cheeky Father Christmas sitting on a chimney top is made to fix onto a wall. See if anyone spots just what naughty Santa is up to! Our naughty Santa is taking a well earned break from his deliveries, but we don't think the chimney owners will like his present this year perhaps it is a lesson to all boys and girls to be good! 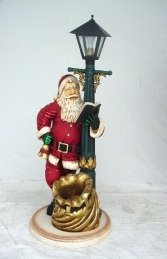 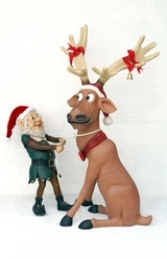 He would look fabulous in your own home or garden for a Christmas display to outdo all the neighbours.